Work for miniOrange Single Sign-On? Learning about miniOrange Single Sign-On? "Didn't fit our needs, asked for a refund, was more/less called an idiot"
The product seems to have the functionality it describes. The customer support was pretty bad. We had tested the product and decided it didn't fit our needs 100% so we couldn't use it. We asked for a refund but was denied. This is fine; everyone has their own return policy and I respect that. What wasn't fine was the approach customer support took to explain this to us. They asked us to return the product, which we inquired about further asking how since it's a digital product. They then responded by telling us "Thats right, you cant and thats why our return policy clearly says that there will be a refund if our product does not work as advertised. Please read it carefully before asking for something that does not make sense." I get it, no refunds. But all you have to say is, "Sorry no refunds". No need to be clever and try to make me feel stupid for asking. None, it was not used. Can’t say enough about the support level. Well above and beyond what you usually expect/get from plugin vendors. Plugin does exactly what we need it to, and is solid right up to the latest stable release of WordPress. We’re dong a custom OAuth itengration (not Google, EVE etc. ), and the plugin works flawlessly, saving us the effort of writing an OAuth login integration with WordPress. Big thanks to miniOrange. Relative to other plugin developers, and outstanding level of genuine support. "Cooperative support and functioning product"
The miniOrange plugin works just as advertised. We started with the free version and then upgraded to the premium for some of the extra features. When one thing didn't work the way we'd hoped, they worked with us on it and when they saw that others might like the functionality we sought, they added it in their next release of the plugin. We were very pleased with them. None. We only once hit an issue, and miniOrange quickly developed a solution and released it. "Review of miniOrange Single Sign-On plugin"
They have good support service, it is the only Wordpress plugin vendor so far I met that able to provide remote support. a little bit costly as it charge per site. The set up on WordPress literally took less than 15 minutes after the Azure Active Directory was configured. The miniOrange import tools made it a piece of cake and guaranteed that all settings were correct. Registering the plugin to a dev site and then switching to a prod URL didn't work for me, but miniOrange kindly fixed it for me. The ability to create a back door was less than ideal. It is not very secure. For WordPress SAML SSO, do it. There can't possibly be a better, easier option. 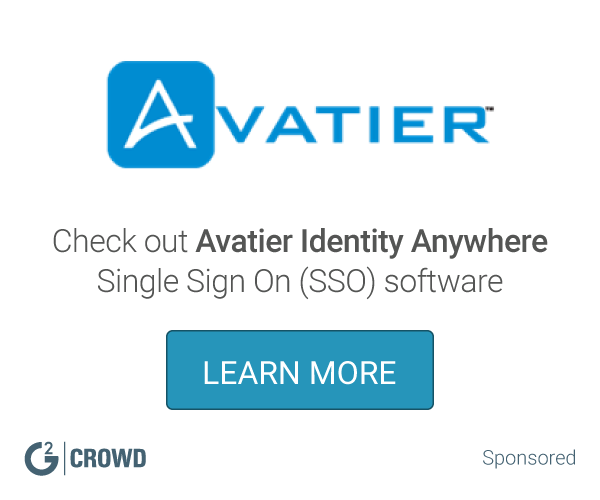 We implemented SSO for seamless login for a Fortune 10 company, and their IT/IS team said it was the easiest SSO implementation they'd ever done by a long shot. The support and ease of configuration. I like that it was easy enough to setup and get going. the instructions where good. the dev support was good. doesn't officially support PHP 7.1.2 or higher...yet. Not able to verify I can login with PHP higher or equal to 7.1.2 at this time. the developer has helped in that effort on your team. Thank you for having taken your time to provide us with your valuable feedback. We are in the process of releasing an update to support PHP 7.1.2 and higher very soon. miniOrange SSO for wordpress was simple in install and keep running. We had tried a couple other solutions and were unsuccessful. with miniOrange we has the solution running in just a matter of a few minutes. From there it had all of the features we needed. The interface is clean and it offered plenty of useful instructions. there isn't anything to complain about. It does what it says it does. It is worth it to use a purpose built plug that fumble with the other clunky solutions. We needed to integrate an internal site into our corporate SSO solution. It worked perfectly. "Off the Shelf and custom SSO Soluitons"
MiniOrange were superb in implementing both standard and custom SSO solutions for our partner interactions. The MiniOrange team worked rapidly and efficiently during all phases of the project. We had a few bumps with the installation on an internal wordpress website as we are a big company but the customer and technical service manage to solve everything perfectly ! Including single sign on pretty much anywhere you need. "Had difficulty with SSO, got help from miniorange and completed it." We had issue with the integration part and the support they have extended is good. Sometimes we will not receive any email response and then we have to send reminders. SP initiated SSO problem has been resolved using miniorange. "Plugins let you manage users easier"
This installation was well documented and support was versed in standalone provider integration. Paying for a plugin for SSO when you're already paying for SSO solution. Try configuring your own SAML plugin if you have the resources and your IDP allows you. It allows us to locked down users and privileges easier. The benefts are time savings and security consistency. I've got good responses from the hotline team that checked and solved my issues. More parameters on the plugin and be sure that the plugin will follow WordPress' updates. No more passwords. Users are happy and no trainings to do. Thank you for taking your time for the review. We will try to improve the user experience with helpful guidelines and documentation in the next release. * We monitor all miniOrange Single Sign-On reviews to prevent fraudulent reviews and keep review quality high. We do not post reviews by company employees or direct competitors. Validated reviews require the user to submit a screenshot of the product containing their user ID, in order to verify a user is an actual user of the product. Hi there! Are you looking to implement a solution like miniOrange Single Sign-On?